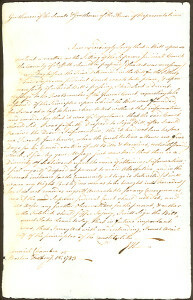 Opportunities for collecting autograph material of people who played important roles in the American Revolution are rare. The American Revolution has been one of the most popularly collected areas by institutional collections, but there are still some opportunities. 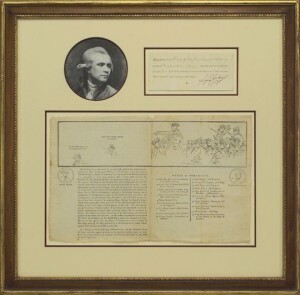 Any autograph or signed material of Thomas Paine is very rare; documents signed by Samuel Adams, one of the original firebrands of the early Revolutionary movement, as governor of Massachusetts can be found. 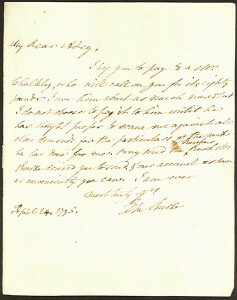 Signed letters of Samuel Adams are rarely encountered. 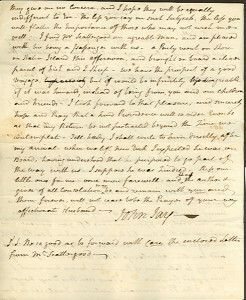 Patrick Henry, the articulate leader who set the tone of the Revolution with his “Give me Liberty or give me Death!” speech can also be found in signed documents as governor of Virginia. 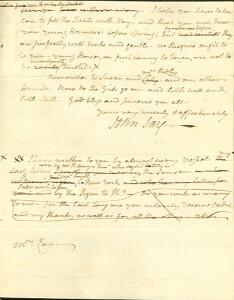 Paul Revere autograph material is very rare. 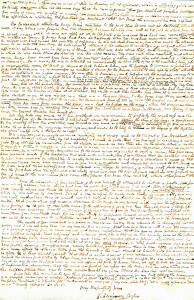 Documents signed as governor of Massachusetts by John Hancock, perhaps the most famous of the Revolutionary personalities, are available. John Adams is very scarce in autograph material, despite his having been president. 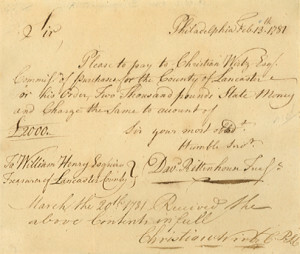 Benjamin Franklin, as governor of Pennsylvania, signed land grant documents, and their prices reflect the great interest in him from many different standpoints. 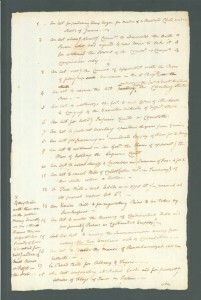 The “financier of the Revolution,” Robert Morris, had reason to sign many financial documents, and is therefore available more frequently than many of his contemporaries. 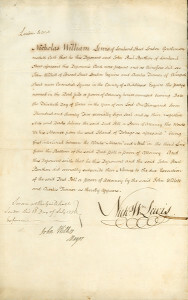 George Washington and Thomas Jefferson are both more frequently seen in signed documents as president, however, George Washington’s documents discharging soldiers from the American Revolution are found. 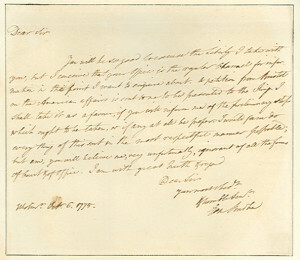 Benedict Arnold left America for England and spent his last years there, and his autograph material is much scarcer than one might imagine. 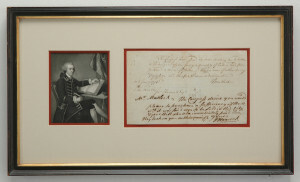 The Marquis de Lafayette was long-lived, and led a very active social, political, and business life after his return to France, and the availability of his signed letters reflect this. 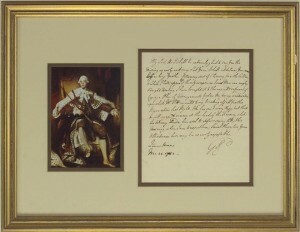 King George III had a relatively long reign and signed many documents, and his autograph signature is one of the most available from the American Revolution.